Specialty Shape Windows, Lake Norman, NC | G&S Contracting, Inc.
You can improve your property’s beauty and value by having specialty shape windows installed in your Lake Norman, NC home. Specialty Shape Windows in Lake Norman – Specialty shape windows provide a unique style and look to your home that a square or rectangular window can’t match. The most common shapes used in windows include half-circles, pentagons, octagons, triangles, and many others. When you have these types of windows in your house, they allow natural light to come into the space without compromising privacy. You can also choose to add customized window treatments to keep these windows covered, although if they are installed high in the walls, you probably don’t need to worry about people seeing into your home. 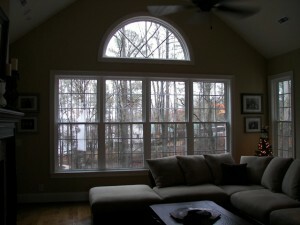 Not all window companies have experience with the installation and maintenance of specialty shape windows. At G&S Contracting, this is an area in which our experienced technicians excel. We use high-quality products from Sunrise Windows, which provide top-notch energy efficiency and visual appeal. When you replace the windows in your home, you can drastically increase the value. Even if you don’t plan on selling your home, you can take advantage of energy and cost savings that come along with having energy-efficient specialty shape windows installed. 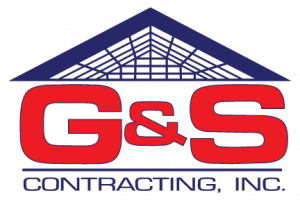 G&S Contracting has been in business since 1980 in the Lake Norman, North Carolina area. As a family-owned and operated organization, we take pride in providing excellent service to each of our customers. You will feel like you are a member of our family when we work on your project. You can also count on our staff members to show up when they say they will arrive and do the work you expect from a qualified contracting company. At G&S Contracting, Inc. we offer the highest quality Specialty Shape Windows to our customers in North Carolina including: Mooresville, Cornelius, Davidson, Huntersville, Charlotte, and Lake Norman, North Carolina.